BEUERBERG, Germany (CNS) — Cold winter light is streaming through the ancient windows of Beuerberg Abbey. It plays on the wood of the empty choir stalls, shimmers on the bronze hand bell of the prioress. Everything is quiet and ready for the next prayer. “Till then, we need to get a lot of building permissions and works organized,” said Gabriele Ruttiger, head of strategy and organizational development for the archdiocese. Record numbers of migrants and asylum seekers are pouring into Europe, and most of them are headed to Germany. As the U.N. refugee agency reports, Germany has been — and continues to be — the recipient of the largest number of asylum applications, followed by France, Sweden, Italy and the United Kingdom. The number of asylum seekers arriving in the state of Bavaria is especially high: The railway lines from Italy and southeastern Europe, via which many refugees enter the country, end in Munich. In 2014 alone, Bavaria spent more than 234 million euro on housing and feeding the refugees. 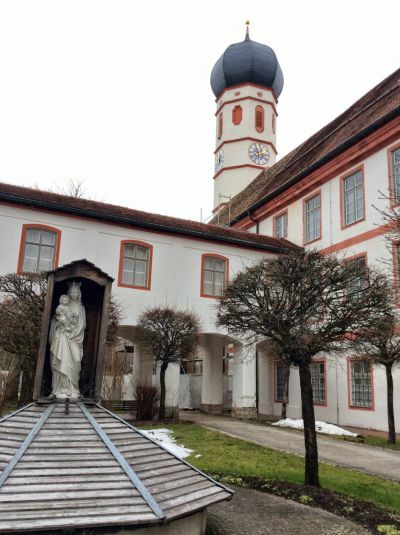 With more arriving each day, housing in the expensive region is at an absolute premium — and the idea of providing shelter in a former monastery immediately struck a chord with church strategists, the nuns and local citizens in the village of Beuerberg. 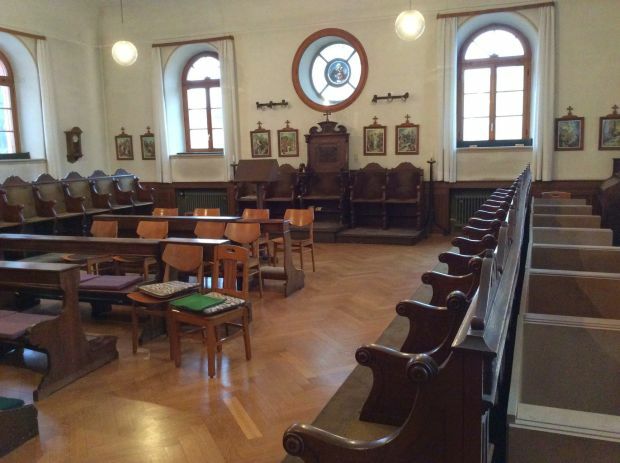 “So this is where we could house up to 60 refugees,” Ruttiger said, standing in the St. Joseph wing of Beuerberg Abbey. The deserted building has spacious rooms with high ceilings and panoramic views of the Alps. Until 2007, ethnic Germans migrating from the former Soviet Union were housed here. In 2013, the prioress of Beuerberg died of old age, and the remaining 13 nuns, on average over 80 years old, needed help. 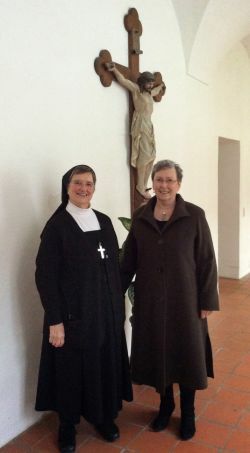 Sister Lioba, whose order is also known as the Salesian Sisters, moved in with the remaining sisters and prepared for the transition. Sister Lioba found new homes for her aging sisters, who, after much prayer and soul-searching, unanimously agreed to leave Beuerberg. The elderly sisters even wrote a specific prayer for the challenge. After months of contemplation, negotiations and meetings, two other orders agreed to take the remaining sisters into their respective fold. “It was the hardest thing I’ve had to do, but also one of the most rewarding and wonderful,” she said. Sister Lioba tried to sell the abbey, and when she could not, she contacted Cardinal Reinhard Marx of Munich and Freising. He and Msgr. Beer immediately saw what was at stake and secured the support of the archdiocesan administration, managing to organize an offer that made “the sisters cry with joy when they received news of this positive turn of events,” as the prioress recounted. Sister Lioba is enthusiastic about the prospect of refugees finding a home at Beuerberg Abbey. “The nuns are still praying for their abbey, you know. And for all the people who will live there in future, no matter who they are,” she said.